I haven't been happy with my eye brushes for a long time - I owned around 20 but some had seen better days and others I just never used, so I kept 3 and binned the others! I kept a MAC 239, MAC 217 and a Sigma pencil brush. Obviously, unless I want to wash my brushes on a daily basis, these 3 brushes were not going to be enough for me so I decided to order some more but instead of going for the obvious MAC or Real Techniques, I decided to treat myself to some others I had wanted for a while. My beautiful friend Dagmara (a.k.a. the queen of eye makeup) recently bought a Sigma eye trio, called the Cashmere Classic Brush Set and it immediately caught my eye. When she said that they were the softest brushes she had used and that they blended eyeshadows better than any other brushes she had tried, I knew I had to buy them and I am so happy that I did. The set contains an E25 Blending Brush, an E40 Tapered Blending Brush and an E45 Small Tapered Blending Brush. 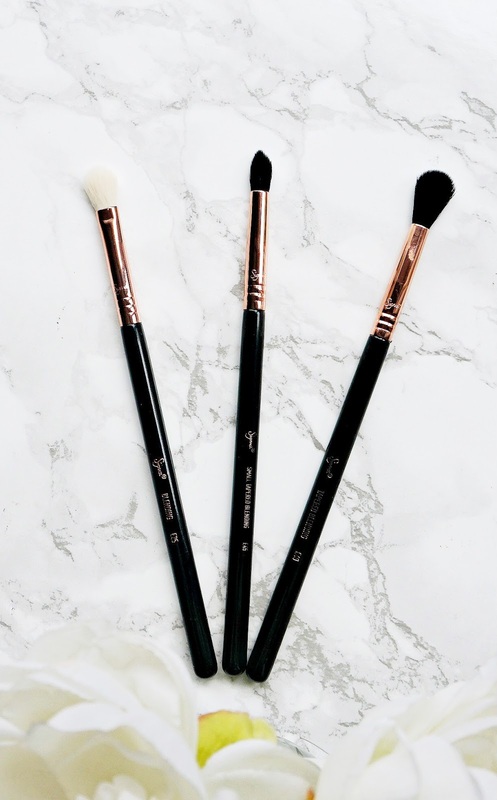 I love all three of these brushes and totally agree with Dagmara - these brushes are a dream to use. My favourite is the E45 because it really softens any harsh lines to give a much softer, blended look. This set is still available on Beautybay. Callanberry is the brainchild of Paula Callan and Derrick Carberry (two of Ireland's leading makeup artists). They offer makeup courses and also have a range of brushes. I bought two brushes from the Callanberry range and they are probably my favourite brushes ever! I have No. 11 Large Blender Brush, which is similar to the MAC 217 only better (yes, better!) and No. 3 Detail Blender Brush, which is perfect for packing shadow onto the lid - similar to MAC 239, only smaller in size for more precise application. 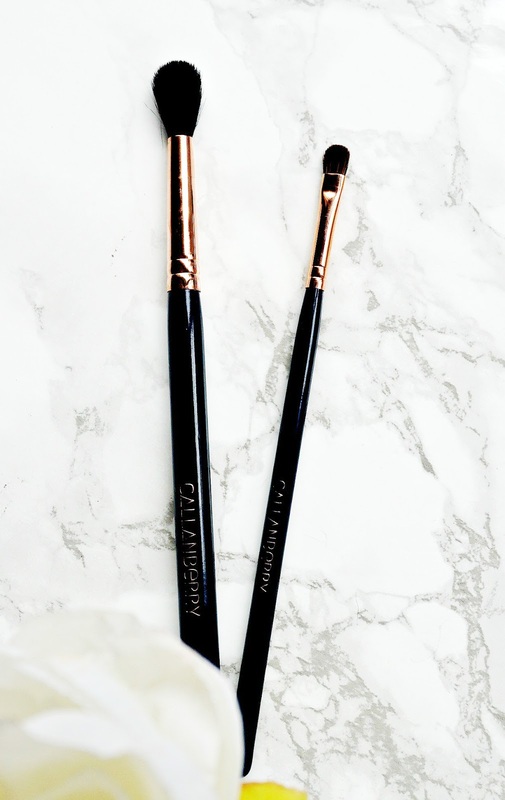 The quality of these brushes is second to none, they are even softer than the Sigma Cashmere brushes and they make applying and blending eyeshadow a dream and so easy. They are not the cheapest (or most expensive) brushes out there but I know that they will last for years. I definitely plan on adding more to my collection. I would recommend Cloud 10 if you are interested in buying them. Nima brushes is another Irish brand, founded by Niamh Martin who has extensive experience as a makeup artist both in Ireland and the U.K. I have seen a lot of hype about Nima brushes in the Irish blogosphere so I bought three brushes from them: The Fuzz, which is a large shader brush, The Donna, which is a tapered blending brush and The Nichola, which is a dome shaped eye blender brush. 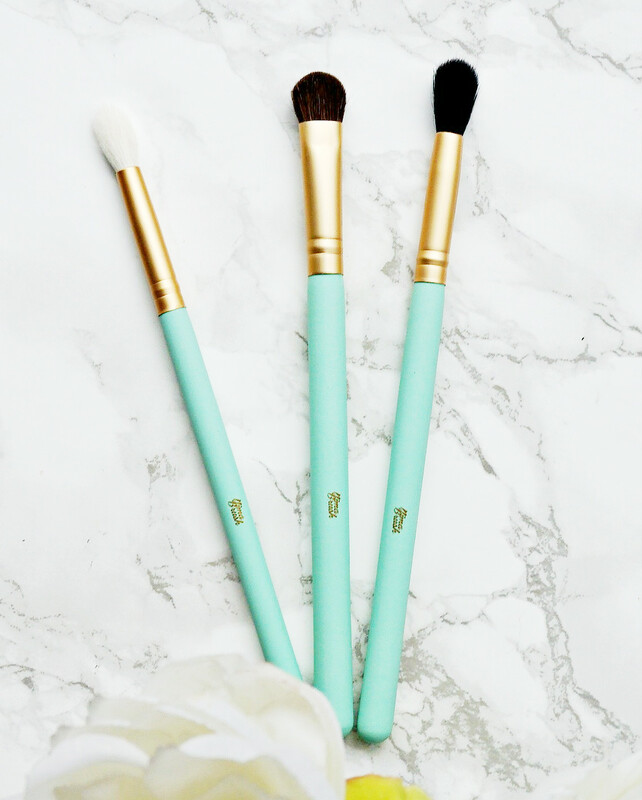 I love the duck egg blue colour of these brushes because they are different from all of my other brushes, I also love how soft they are and easy to work with and they wash well without shedding hair. They are affordable but great quality. One point I have to make is that Nima were very slow to despatch the brushes - they took a full week to process the order. I understand that they are very busy around show times or Christmas etc but I feel that a week is too long, personally, as it meant it was actually 13 days from date of order to receipt (including weekends so 8 working days). Hopefully that is something that they will rectify in the future with extra staff around busy periods. I don't like being negative but regular readers will know that I am all about honesty so I had to mention this. That being said, their customer service is very good with prompt replies to all emails. They ship internationally at a rate of €8.50 and €3.95 within Ireland. Nima is a cruelty-free brand. 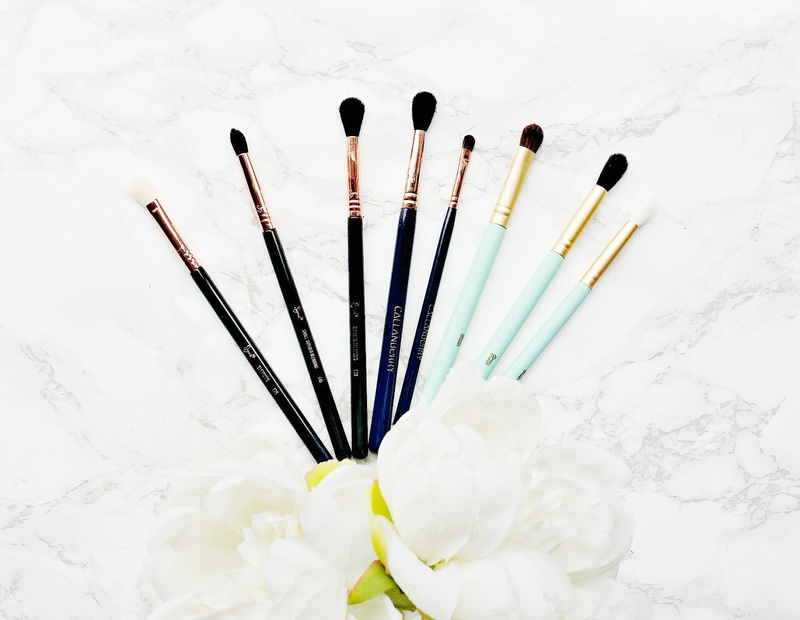 Have you tried any of these brushes or are you tempted to? What is your favourite brand of brush? I would love to hear in the comments below!